“Society, nature and the way we interact with each other are all changing. There’s a quickening, and many of us, more than ever before, are hearing ‘The Call’. To rise, fully rooted in the truth of who we are. To trust ourselves − our gut, intuition, power and innate feminine wisdom.” Here, she shows you how you can reclaim and unleash that witch from within for the greater good. Witch, a term that has previously been used to stigmatise women, is now being reclaimed. In a world where the word ‘witch’ has previously conjured up images of wart-faced old women huddled around a cauldron, the witch has undergone a serious image overhaul. 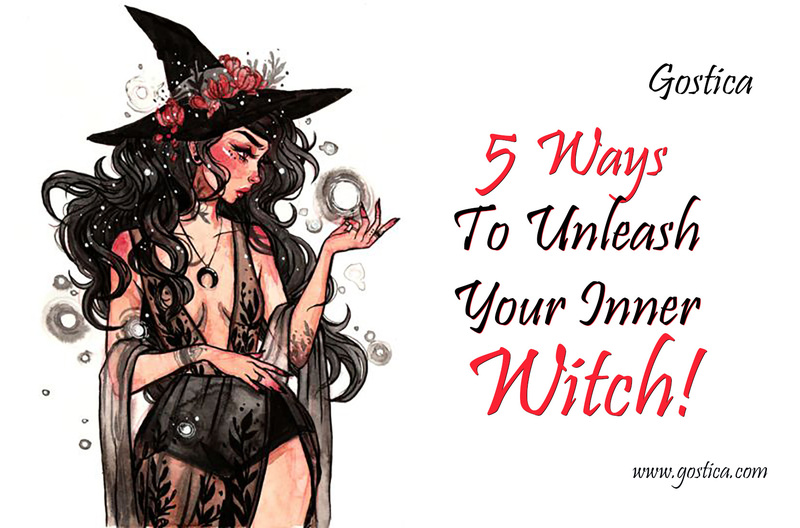 The modern witch movement is a reclamation project − it’s a call to remember, reconnect with and reclaim your fierce and feminine power. There are lots of paths to being a witch, but, rather controversially, I think a witch in these modern times is a woman who is unleashed, untamed and unapologetic. For many, hearing ‘The Call’ will feel like a remembrance – maybe of a past life, or of a whisper from an ancestor, or maybe even a feeling deep in your bones. Either way, it’s a remembrance of who you were before you forgot. It’s a remembrance of who you were before patriarchy put all of your fierce and feminine powers into the darkness, called them taboo and then taught you to be afraid of the dark. The moon follows a 28-29 day cycle, similar to the female menstrual cycle. Some women bleed in tune with the moon, but most don’t because our modern world means we’ve become disconnected from our cyclic nature. However, getting to know the energy of each phase of the moon means you start to understand the energy that you experience in each phase of your menstrual cycle too. work hard and take action; the full moon is a time to manifest and call in the things you need; and the waning moon is a time of letting go, editing and clearing up issues in your relationships and life. Spending time in Mother Nature is a great way to connect with your body and harness the energy of the elements. Where possible, try to put your bare feet on the ground, even if it’s just for ten minutes in the park during a lunch break − the soles of your feet are a direct connection to the earth. Plant your own herbs for cooking or spell making (if you haven’t got a garden, plant some pots and keep them on the kitchen windowsill). Putting your hands in the earth is grounding. Let a windy day cleanse and heal you. Spend time by water to replenish your energy, letting it wash over you so you can really balance your emotions. Light a fire, or even simply a candle, to let its light and warmth fuel your own inner fire. The modern witch knows that spell casting is simply changing energy from one state to another. So if you want something – more money, a new job or a home with a garden – pick three things you want to bring into manifestation. Write them down, really specifically, in the present tense, as if they have already come true. Then make a list of all the things you can do to change the thought into an action. Then do the action. You take one step, the universe will take two. It’s the cosmic two-step. • Don’t let anyone tell you HOW to be a witch. • You can be a witch who casts spells. Or not. • You can be a witch who uses herbs and essential oils. Or not. • You can be a witch who has an altar. Or not. • You can be a witch who is political. Or not. • You can be a witch who makes art. Or not. • Question the gurus and the teachers. Question this article. Question everything. • Seek the truth in ALL things. Starting with you. • Make your own rules. Then break them. • Be the woman you are here to be this lifetime.